Sooraj Subramaniam grew up in Malaysia, training in the Indian classical dance styles of Bharatanatyam and Odissi, and later on in classical ballet and contemporary dance forms. He continued classical ballet training in Australia and graduated from the Western Australian Academy for Performing Arts, at Edith Cowan University. Concurrently, he co-directed Mudhra Dance Company teaching and performing Indian classical and contemporary dance. Since moving to the United Kingdom Sooraj worked primarily with Srishti - Nina Rajarani Dance Creations, performing and teaching Bharatanatyam extensively. He has also performed with Akademi, Balbir Singh Dance Company and Shobana Jeyasingh Dance. 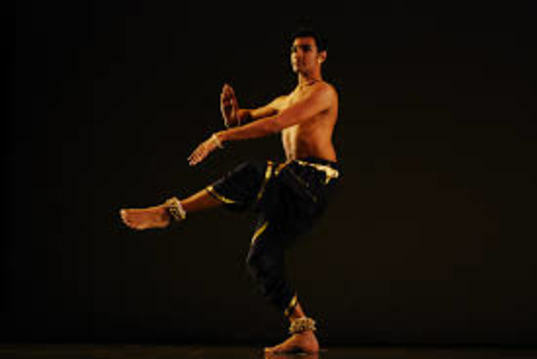 Whilst in London, Sooraj began training also in Kathak, adding to his rich dance vocabulary. His own work is an organic amalgam of these styles, and he aspires to create work that is honest, relevant and enjoyable. Sooraj now lives in Belgium, and continues to freelance, presenting solo work and collaborating with companies and independent choreographers on dance commissions across Europe.